We want you to feel comfortable creating and sharing your online family tree so we allow you to choose between three levels of privacy: public, private, or unindexed (hidden). And remember, you control your tree so you can change this setting at any time. What's the difference between public, private, and unindexed trees? When you create or upload a tree to the Ancestry Community you can determine whether it is public, private and unindexed. By default, your tree will be public, because we believe that this will better help you find family members and share your family history. You can change this setting any time to a more private option by clicking “Trees,” choosing a family tree, and then selecting “Tree Settings”. When you change your public tree to “private” or “unindexed,” other users may continue to see your tree until we can complete your request, but they cannot access any record or document from your tree without your authorisation. Other users can view all content in your tree except information about living people and notes. Other users can also see your username or full name depending on your account settings. Other users cannot view the contents of your tree. However, limited information about deceased individuals in your tree (name, birth year, birthplace, and any documents you upload) will appear in search results within Ancestry Community sites. For example, if you upload a picture of a deceased family member to a private tree - while no one can view that picture from your private tree, search results for that individual might show limited information for the uploaded photograph (such as the name of the picture and the ancestor the image is tied to). If the searching party then tried to view the photograph from the search - the site would tell them that the image is in a private tree and that they would have to contact that user directly to view it. A user could then contact you anonymously through the Ancestry messaging service, and you can decide whether or not to respond or give them access. Other users cannot view the contents of your tree and its contents will not appear in search results within the Ancestry Community. For example, no information about a document uploaded to your unindexed Private tree would show in a search. You can change your Private tree to an unindexed Privacy by clicking “Trees,” choosing a family tree, and then selecting “Tree Settings”. On the “Privacy Settings” tab select the “Also prevent your tree from being found in searches” checkbox. How are living people protected? Edit the living status for people in your tree. Go to list of trees. There are two sources of information about living individuals on our site: information and records users have uploaded into family trees and records Ancestry has obtained from trusted third parties. We give you control—you can change a person’s status to indicate whether or not the individual is living or deceased or simply include a death date. We use data you have provided—If you don’t indicate whether an individual is living or deceased, we will determine his or her status based on information you provide. We assume an individual is living unless there is death information or his or her birth date is more than 100 years ago. If there is no birth or death information, we estimate dates by looking at relatives in the tree. If we’ve determined an individual is still alive, he or she is identified in your tree with a “Living” label. Users who don’t have permission to view living people in your tree will see a “Private” label. In our extensive databases you may find information about living individuals; quite often this is information that has been made public by government institutions or other groups. Before we publish information on our site, we consider a number of things, including industry guidelines, rules, best practices, laws and regulations, and customer needs, so we can be thoughtful and responsible in our approach. If you find a record about yourself or a living family member that you are uncomfortable with, please contact Member Services. What happens when I invite people to my tree? Regardless of the role you assign, no one else can delete or rename your tree, change tree settings, or invite others to view your tree. And you can change who can see living individuals at any time. Please note that you are responsible for ensuring that the living people in the tree that you want to share have consented to having their information shared. If necessary, you can revoke someone’s invitation to view your tree. 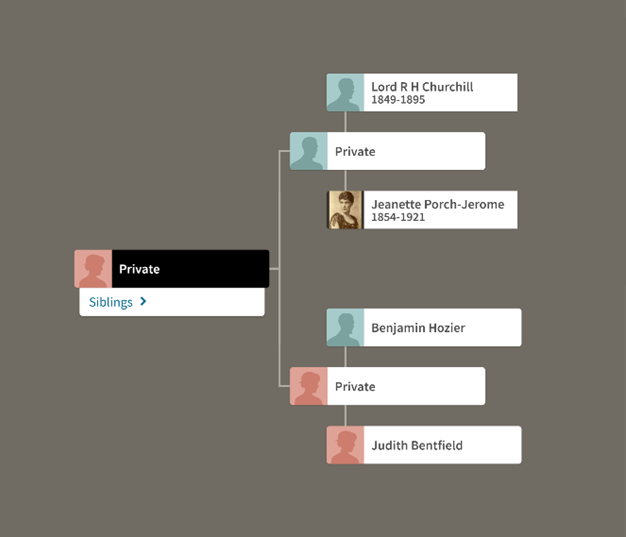 To do this, select your family tree from the Trees button at the top of any Ancestry page, then choose “Sharing”. Then simply click the “Remove” link next to the appropriate individual. Do I get credit for the content I post? Because Ancestry encourages our users to share their family history discoveries, we want you to get acknowledgment for what you share. 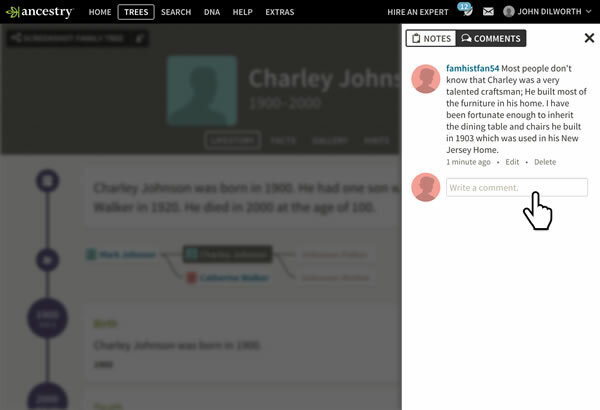 Whenever you post a photo, story, comment, or message board post to the Ancestry Community, it will be linked to your profile. That way you receive credit for your work and other researchers know whom to contact for additional information. Remember that information you post within the Ancestry Community may become public to other users (depending on your privacy settings). This means that other users can copy and use the information you provide. If another user updates a person in their tree based on what you have shared in your tree, the information will include a source indicating that the information is from your tree. 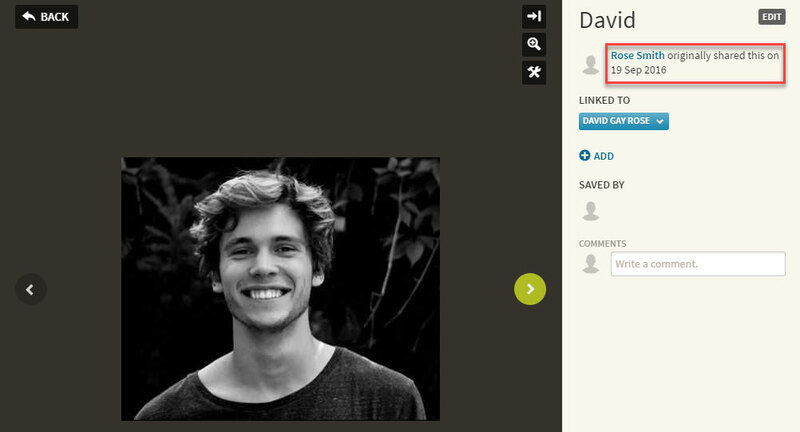 If they add a photo or story from your tree, it will show you as the original contributor. Although you may receive credit for your contributions, you don’t have total control over what others may do with the content you share. Remember, you are responsible for what you post on the site. Anything you post should be something you have permission to use (see the Ancestry Terms and Conditions for more details). You should also avoid posting content that could be offensive to other users (such as anything obscene, indecent, defamatory, or that incites hatred of any kind). 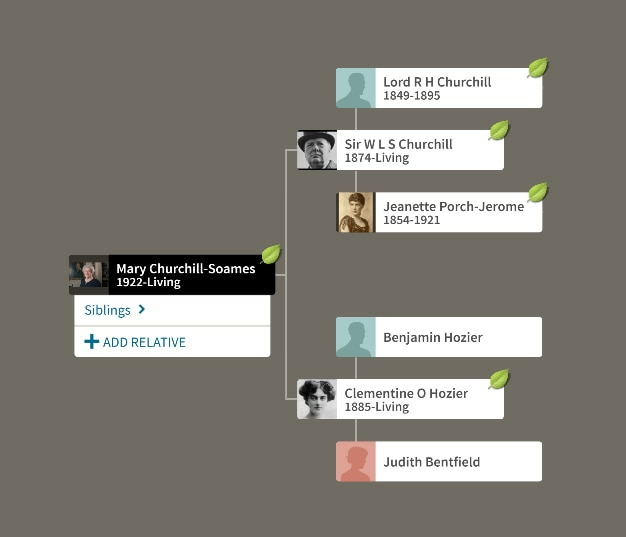 Who can remove content from family trees? You control the content in your tree. You can update or delete facts and photos or change content at any time. However, once something has been added to a public tree, the content may be copied and re-posted. If you delete an item in your tree, it may still be displayed in another user’s tree. Because of this, we encourage you to think carefully about what you post and share within the Ancestry Community. If you have a concern about information that someone has posted about you or a living family member please contact Member Services. Who can comment on my tree? If your tree is public, other users can comment on your tree; if your tree is private, invitees can leave comments. As the owner of the tree, you can see who submitted the comment (their name or username) and message them. For inappropriate comments, you can flag or hide the comment.